Awards were presented at the opening ceremony of the SPVS/Veterinary Management Group Congress. 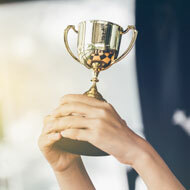 Three veterinary practices were recognised in the 2018 Vet Wellbeing Awards, recognising their commitment to motivating and engaging their teams, making their practices a better place to work. Now in their fourth year, the awards are run by the Society of Practising Veterinary Surgeons (SPVS) and the RCVS Mind Matters Initiative. large practice: Drove Veterinary Hospital, Swindon. Awards were presented at the opening ceremony of the SPVS/Veterinary Management Group Congress at Celtic Manor in Wales. The winners joined a panel chaired by Emma Mamo, head of workplace wellbeing at the mental health charity Mind, to share their approaches to wellbeing in practice. Ami Sawran of Westpoint Farm Vets, which won the small practice award, said sharing ideas with other practices is what the awards are all about.